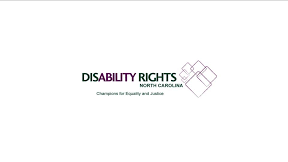 Disability Rights North Carolina filed a lawsuit against the state of North Carolina in February 2010 on behalf of two individuals with developmental disabilities who risk institutionalization if proposed cuts to home-based services are implemented. The two plaintiffs, both of whom require supervision 24 hours a day, have been living in their communities with the support of Medicaid for more than 8 and 10 years, respectively. Under the state’s plan, services in the Piedmont Behavioral Health Care geographical area, which spans five counties, would be cut by 30 percent for home-based services. As a result, the reimbursement rate for the plaintiff’s home-based providers would drop to $116.5 a day, from $250 and 161.99, respectively. These rates would force the providers to work not at a profit, but at a loss, resulting in a likely termination of services. If the plan goes through, according to the complaint, both individuals “will face forced institutionalization,” an unnecessary form of segregation in violation of the Americans with Disabilities Act and the Supreme Court’s 1999 Olmstead decision. The U.S. District Court for the Middle District of North Carolina granted a preliminary injunction to block the plan from going into affect in February 2010. The Justice Department has also filed an amicus brief against the state.